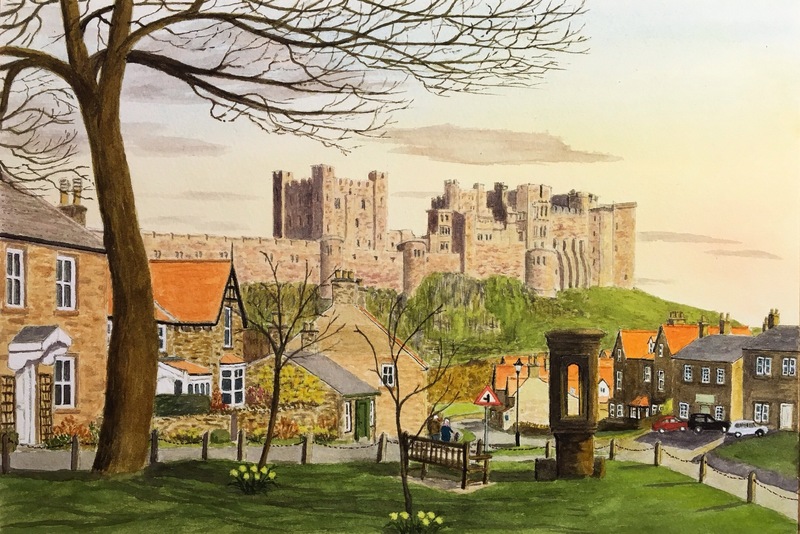 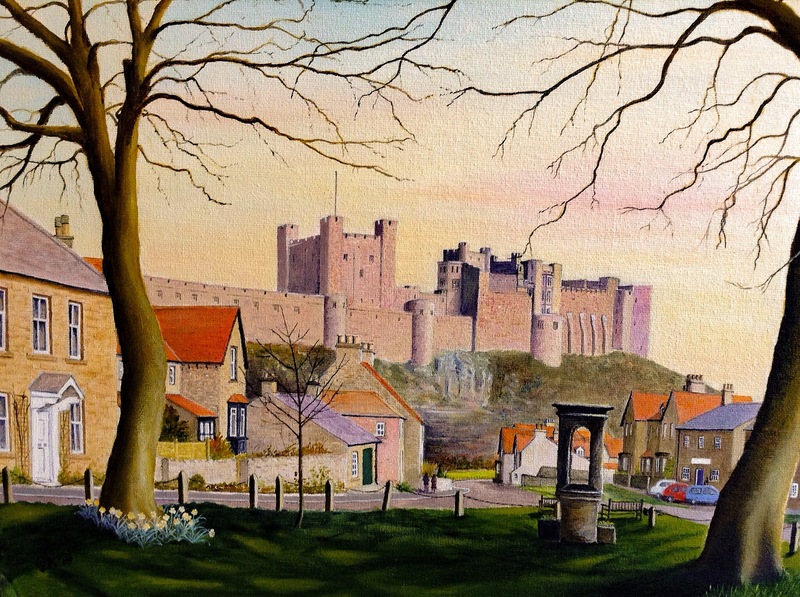 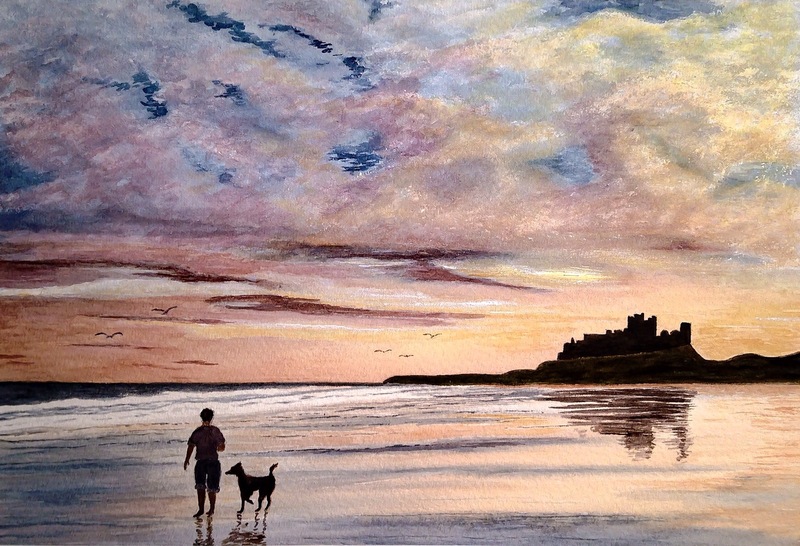 One Evening in Springtime at Bamburgh- my watercolour painting (just finished). 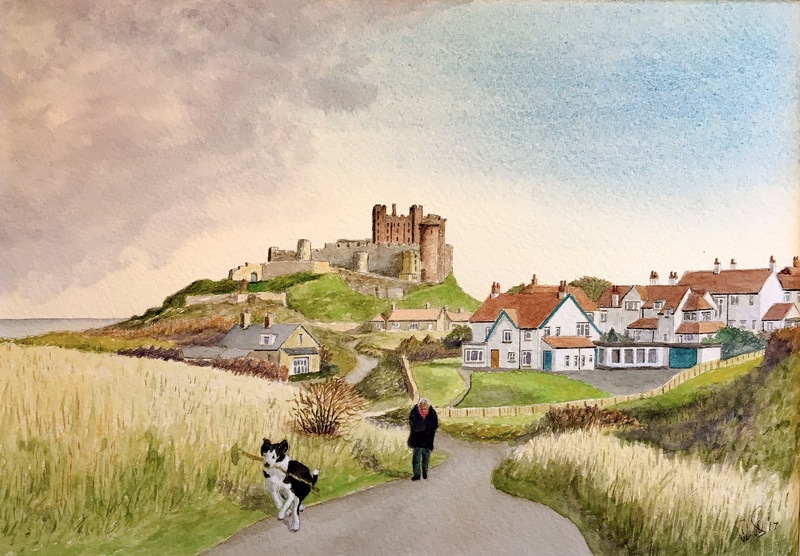 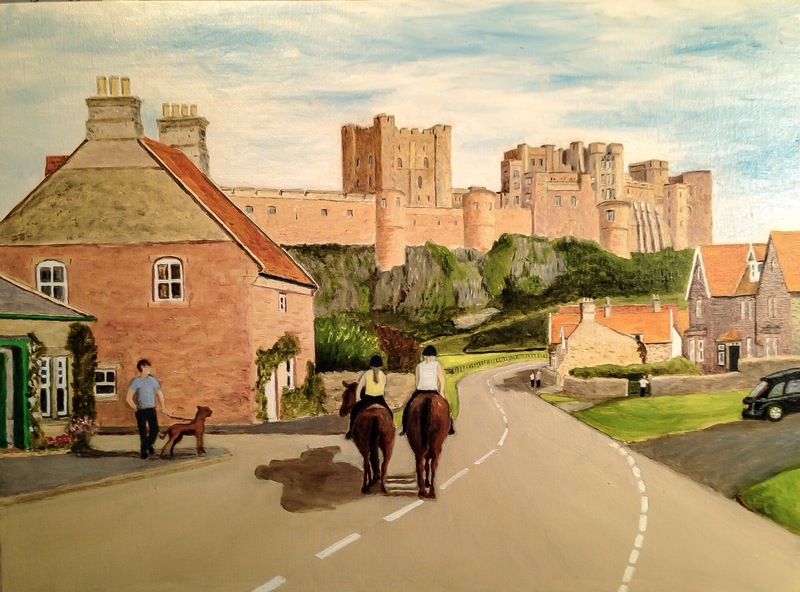 Bamburgh from the North – my watercolour painting (revised with Rosie our Collie, when younger, in the foreground). 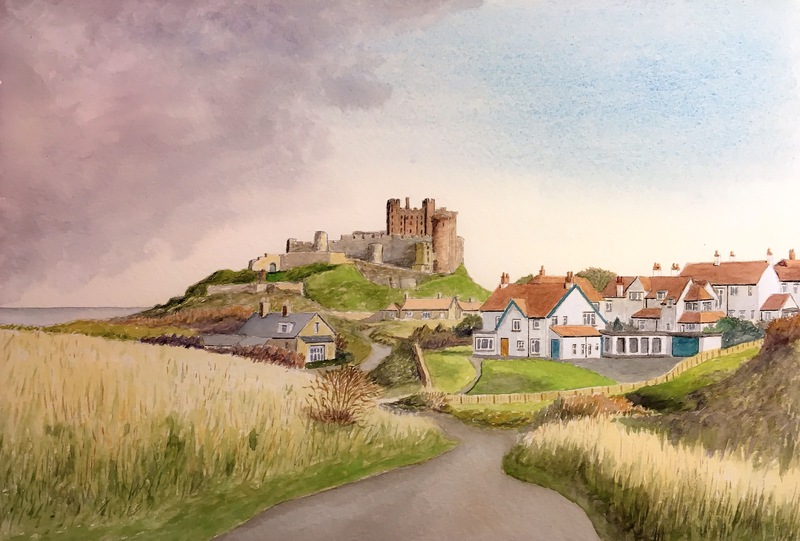 Bamburgh from the North- my watercolour painting (just finished).